Charlemagne had a lots of achievements,One of his achievement was that he opened school for the rich and poor. He also opened churches and brought the. 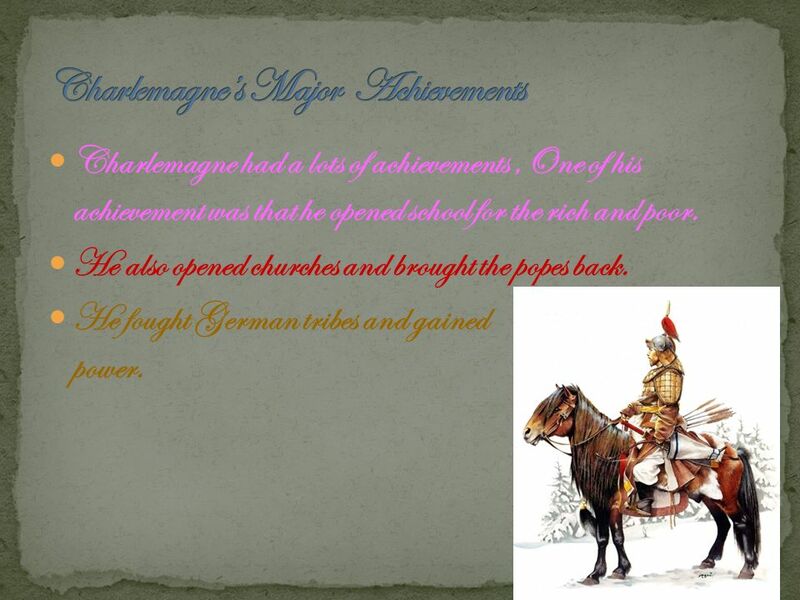 1 Charlemagne had a lots of achievements,One of his achievement was that he opened school for the rich and poor. He also opened churches and brought the popes back. He fought German tribes and gained power. 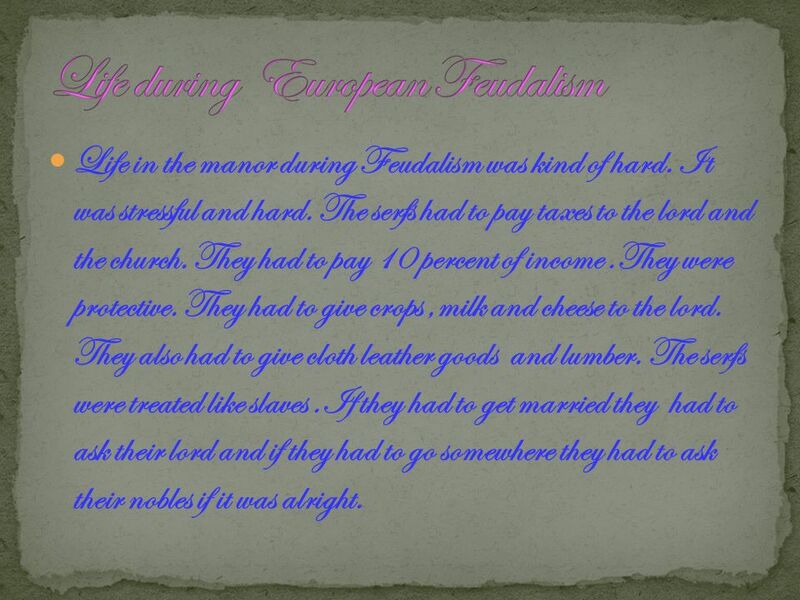 2 Life in the manor during Feudalism was kind of hard. It was stressful and hard. The serfs had to pay taxes to the lord and the church. They had to pay 10 percent of income.They were protective. They had to give crops,milk and cheese to the lord. They also had to give cloth leather goods and lumber. The serfs were treated like slaves.If they had to get married they had to ask their lord and if they had to go somewhere they had to ask their nobles if it was alright. 4 The kings didnt have any power.The greater lords used to swear to protect the king and his land. The lessor lords controlled most peoples had to take an oath of loyalty to a greater lords. The knights were mounted warriors who did battle for their lords The serfs who grew crops and the king protected them.They were economic backbone or society. 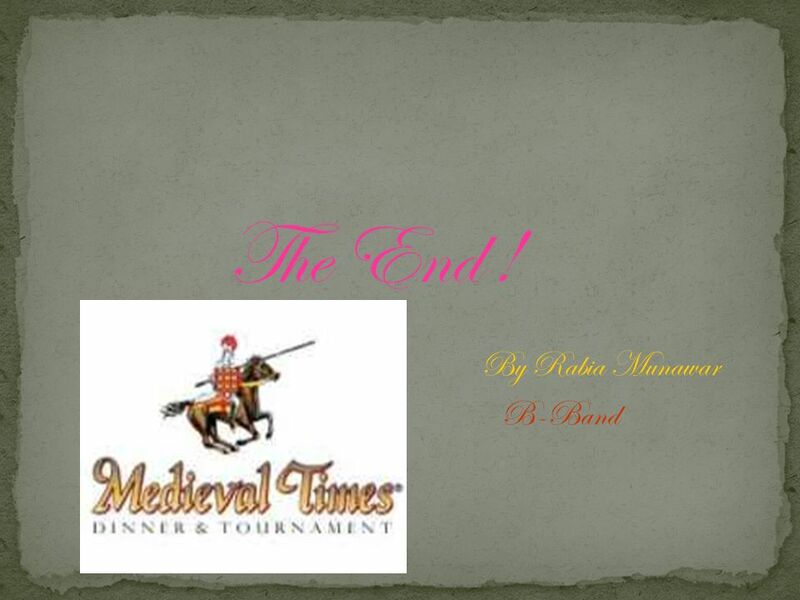 Download ppt "Charlemagne had a lots of achievements,One of his achievement was that he opened school for the rich and poor. He also opened churches and brought the." Life in the Middle Ages. The Church Medieval Europe: Christianity important Christians show devotion by going to Jerusalem or Rome. Rome: Home of the. 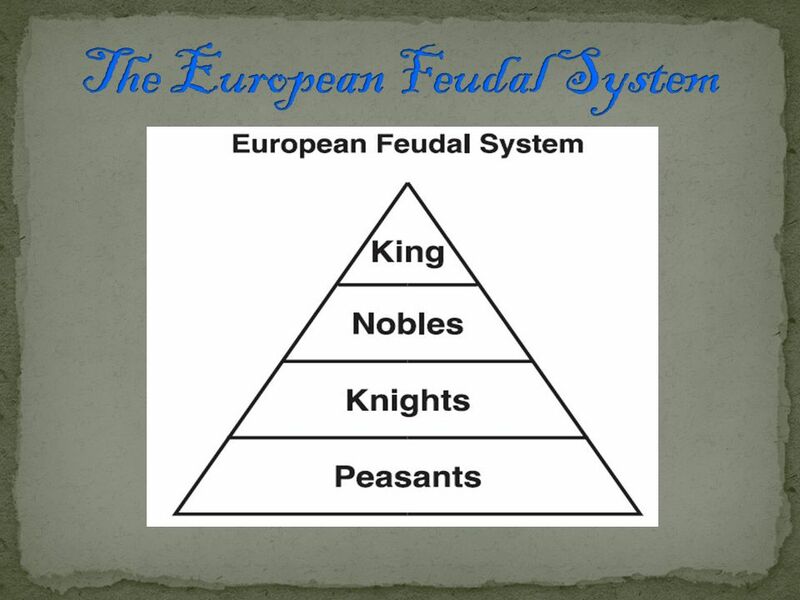 THE FEUDAL SYSTEM A social, economic, and political system of organization. Charlemagne, Feudalism, & Knights. What was everyday life like in Medieval Europe? Chapter 13 Section 2 Feudalism in Europe Vikings Vikings were Germanic sailors from the wintry, wooded region known as Scandinavia. Vikings worshiped. Feudalism Class Notes. Monarch The king or queen of the land. The king or queen of the land. They take power through inheritance (from parent’s death). Section II: Feudalism and the Manor System (Pages ) This section is about: This section is about: The impact of the Viking invasions on Europe. Age of Charlemagne Copyright © Clara Kim All rights reserved. Chapter 9 Final Exam Review The Catholic Church The Catholic Church was a unifying force in Europe In 380, Emperor Theodosius made Christianity the state. Do Now In your own words, define loyalty Can you think of a situation in which someone’s loyalty to you was very important or when you had to be loyal. The Collapse of Rome The Western Roman Empire fell in 476 C.E. Eastern Roman Empire remained intact for another 1,000 years (capital = Constantinople). Feudalism. The Emergence of Feudalism Invasions Vikings, Muslims, Magyars Kings and emperors were too weak to maintain law and order. William Douglas Smallwood IV + Alexander Montgomery West. ■ Essential Question: – What was life like during the Middle Ages? ■ Warm-Up QUIZ: – What two groups settled together to make Russia? – What was Kiev? 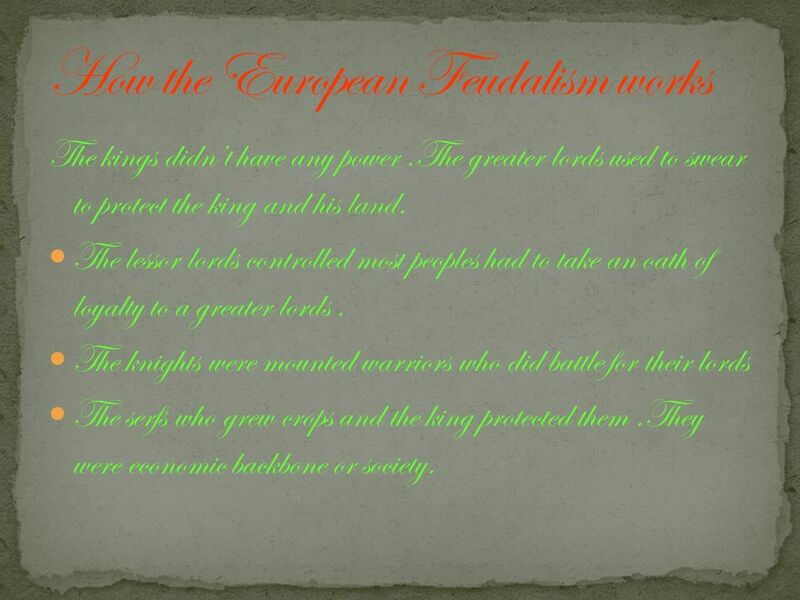 Feudalism: Establishing order Today’s Learning Target: I am able to define and explain the purpose of the political and economic system called feudalism.